Into each paper cup, pour 1/4 cup orange juice and 1 tablespoon vodka; stir. Place small piece of foil over top of each cup. Make small slit in center of each piece of foil; insert stick. Place cups on tray. Freeze at least 5 hours. Tear off paper cups and serve. 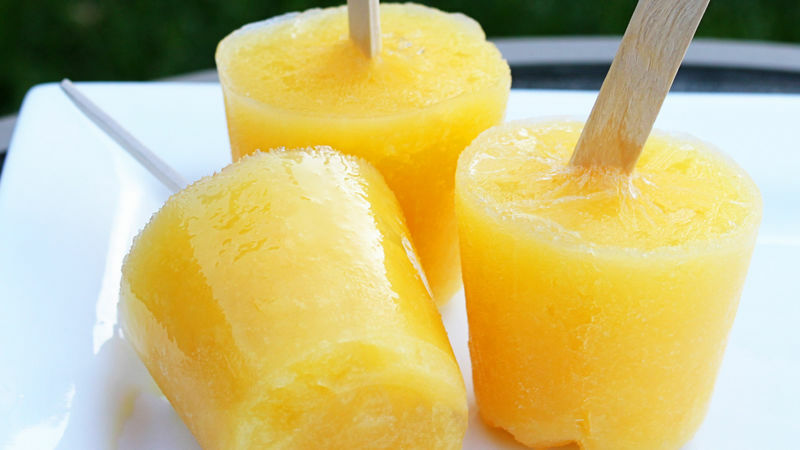 You can also make these slushes by not freezing them hard and serving with a spoon! Not a vodka fan? Substitute pineapple juice for a different spin.